The front: The young, fresh-faced Robbins poses at spring training. 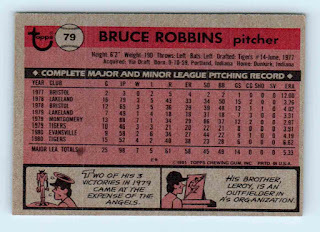 The back: Leroy Robbins played four seasons in the A’s organization, topping out at AA. In 328 games, the 1B-OF hit .254 with 25 HR and 144 RBI. 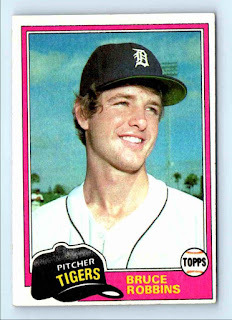 The player: By the time this card was issued, Robbins had hurled his last major league pitch. He would hang on in the Tigers organization for three more years at AAA. The man: Robbins is now a real estate investor in Florida. My collection: I have four of his cards, from 1980 to 1981. 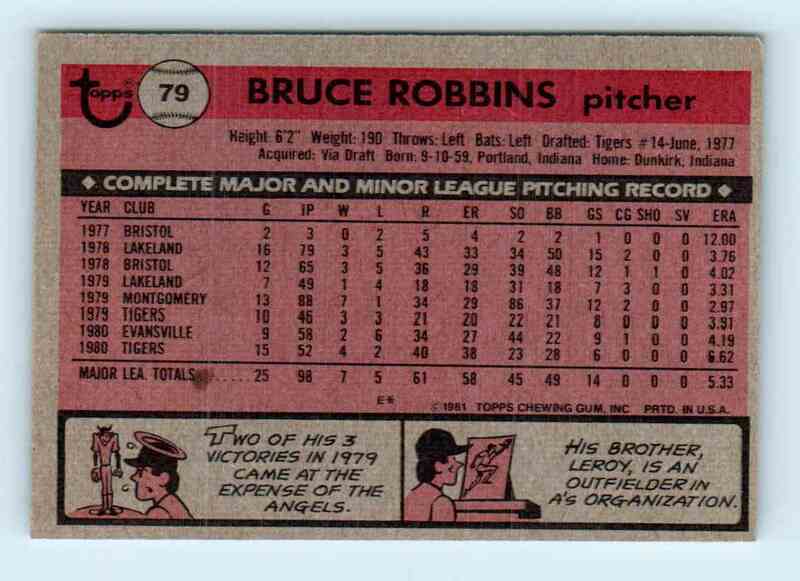 I would be interested in trading for 1983 TCMA Birmingham Barons #10.